The year 2017 was marked by bickering between the judiciary and the executive, two principal organs of the government of Bangladesh, apart from many other important court judgments and events in the legal arena. Misunderstanding between the two pillars of the state was created due to arrogant statements and adamant attitude of former chief justice SK Sinha. At one stage of tussle, SK Sinha went on leave and later resigned from his job. In the year, there was a significant headway in trial of graft cases against opposition BNP chairperson Khaleda Zia and some other political leaders. The court also issued arrest warrant for her. On July 3, the Appellate Division of the Supreme Court led by the then Chief Justice of Bangladesh, SK Sinha, rejected an appeal filed by the government against the High Court verdict declaring the 16th amendment to the Constitution illegal. As a result of the SC verdict, parliament’s authority to impeach any apex court judge on ground of physical incapacity or moral turpitude ceased to exist. However, the government filed a review petition against the SC verdict on Sunday. In the 16th amendment, former chief justice SK Sinha made an observation that the country was not liberated due to contribution of a single person. He negated the contribution of Father of the Nation Bangabandhu Sheikh Mujibur Rahman to the country’s independence. SK Sinha also termed parliament nonfunctional and politicians devoid of collective wisdom. During Supreme Court’s hearing on a writ petition on execution of Masder Hossain Case verdict, SK Sinha used to pressurise the government to make a new service rule and code of conduct for lower court judges in order to bring appointment, transfer, promotion, demotion and termination under the authority of the apex court. Currently, the President handles such matters in consultation of the SC. But, SK Sinha wanted to take away the power of the President. Sinha also threatened to follow the instance of Pakistan Supreme Court which removed the Prime Minister of that country. The President prepared 11 charges against SK Sinha for committing various corruptions. The government authorities concerned brought the charges to the notice of other judges of the Appellate Division of the Supreme Court. The judges went to Sinha’s official residence to seek his clarification. As Sinha failed to give satisfactory answer, other judges expressed their unwillingness to work with him. SK Sinha went on leave for one month with effect from October 3, this year and later extended it till November 10. Law Minister Anisul Huq told journalists that Sinha is a cancer patient and he went on leave for better treatment. Sinha flew to Australia on October 13 night. Before leaving home, he claimed to newsmen that he is not sick. The next day, the SC issues a press statement saying that Sinha is facing 11 charges of corruptions and other judges of the Appellate Division are reluctant to work with him. Instead of returning home, Sinha on November 10 sent his resignation letter from Singapore. There was much headway in the trial of BNP chairperson Khaleda Zia and other accused in two graft cases over embezzlement of fund of Zia orphanage and Zia charitable trusts. On December 21, the defence counsels submitted closing arguments for second consecutive day in the Special Court-5 in Dhaka. The same day, Khaleda submitted a written statement for self-defence in Zia Charitable Trust case. At this stage, the court fixed December 26, 27 and 28 for hearing arguments on the case. Judgment in any case is next to argument stage. The High Court on May 11 declared illegal the operation of mobile courts, trial and judgment by executive magistrates. Following the HC verdict, executive magistrates were barred from conducting mobile court. Following a government petition, the SC allowed executive magistrates to run mobile courts for the time being. On August 6, the High Court upheld death sentences of two accused — Rafiqul Islam Shakil and Rajan Talukder — for the murder of Biswajit Das in the capital. It commuted death sentences of four others to life sentences. They are Mahfuzur Rahman Nahid, Emdadul Haque Emdad, Rasheduzzaman Shaon and Noor-e-Alam Limon. All the convicts are Bangladesh Chhatra League activists of Jagannath University unit. Biswajit was hacked to death in broad daylight on his way to his tailoring shop in Shakharibazar area of the capital on December 9 in 2012, during a countrywide blockade enforced by BNP and Jamaat. 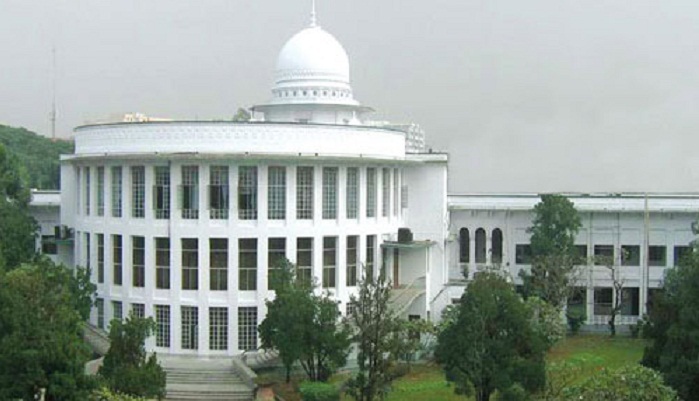 On November 27, the High Court upheld death for 139 out of 152 convicts earlier upheld by the trial court in a case over killing 57 army officers and some others in BDR mutiny. The HC upheld life for 146 convicts and awarded different terms of imprisonment to 196 and acquitted 41 others. In 2009, 74 people, including 57 army officials, were killed in BDR mutiny at its Pilkhana headquarters. On August 22, the High Court upheld the death sentences for 15 people, including former ward councillor Nur Hossain and three sacked RAB officers, for the gruesome murders of seven persons in Narayanganj. The court commuted the death penalties of 11 others to life imprisonment in the two cases filed over the sensational murders. The death-row convicts are former councillor Nur Hossain, Lt Col Tareque Sayeed Mohammad, Major Arif Hossain, Lt Commander SM Masud Rana, Sub-Inspector Purnenda Bala, Havildar Emdadul Haque, AB Md Arif Hossain, Lance Nayek Hira Mia, Lance Nayek Belal Hossain and members Abu Taiyab Ali, Md Shihab Uddin, Abdul Alim, Mohiuddin Munshi, Al Amin and Tajul Islam. On April 27, 2014, Narayanganj City Panel Mayor Nazrul Islam and four of his associates Swapan, Tajul Islam, Liton and Jahangir, senior lawyer Chandan Kumar Sarkar and his driver Ibrahim were abducted from Dhaka-Narayanganj link road. After a few days, their bodies were found floating in the Shitalakkhya River. On November 13, the High Court termed the Anti-Corruption Commission’s delay in investigating graft allegation against retired Justice Zainul Abedin not satisfactory. The HC, however, cleared the way for investigation into corruption allegation, saying no one is immune from criminal prosecution. About a letter sent by the SC asking the ACC not to investigate the allegations against Zainul, the HC opined that SC wrote such letter exercising its administrative authority, not judicial authority and thus not binding. On March 28, the High Court directed the government to prepare a detailed report with the help of experts of three international organisations over the health risks of radiation from mobile phone towers. The three international organisations are World Health Organisation (WHO), International Atomic Energy Agency (IAEA) and International Commission on Non-Ionising Radiation Protection (ICNIRP). In 2012, Human Rights and Peace for Bangladesh (HRPB) filed a writ petition with the HC seeking its order to the authorities concerned to clarify the level of mobile towers’ radiation in the country and its health hazards. On March 5, the SC upheld the death sentence of domestic help Shahidul Islam Shahid and acquitted four other death-row convicts in the much- talked-about Scholastica School student Shazneen murder case. On April 23, 1998, Shazneen Tasnim Rahman, daughter of Transcom Group owner Latifur Rahman, was killed at their Gulshan residence by their household staff. On November 29, Shahidul was hanged at Kashimpur high security jail in Gazipur.